Wall, NJ: Packaging machinery manufacturer Deitz Co., Wall, NJ (www.Deitzco.com), plans to unveil its new human machine interface (HMI) at Pack Expo International booth S-1410 in Chicago, IL on Oct. 14, 2018. Included as standard at no extra charge on the entire line of Pharmafill brand packaging machines, the new HMI is to be demonstrated in live action at the booth in a fully operating tamper-evident neck bander, heat tunnel, cotton inserter and pill counter. The state-of-the-art HMI features a touch-screen control panel with a clear, simple, colorful menu structure for intuitively easy setup and operation to enable entry level workers to successfully perform the filling and packaging functions with minimal training. From a single screen, the new HMI presents all required data, allows adjustments to the machinery to be made, and saves machine settings for fast startup and repeatable, consistent operation with less potential for human error. Devised for food, beverage, nutraceutical, pharmaceutical, and other growing companies interested in modernizing and/or automating their packaging process without committing to a major investment, the HMI is to be unveiled on the Pharmafill line of tablet/capsule counters, cotton inserters, desiccant inserters, heat tunnels, and tamper-evident neck banders. 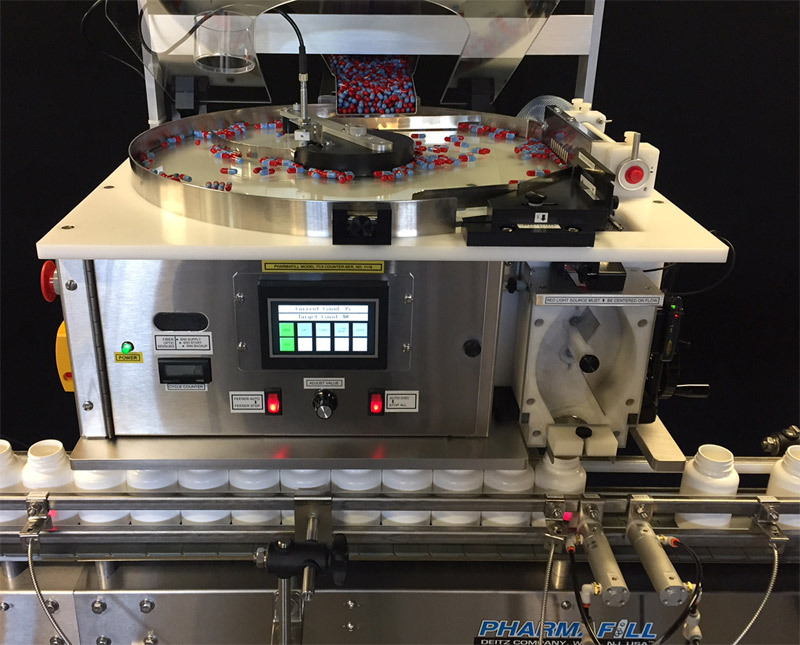 The Pharmafill packaging machines are designed and manufactured in the company’s Wall, New Jersey headquarters and tested before shipping with a full warranty.